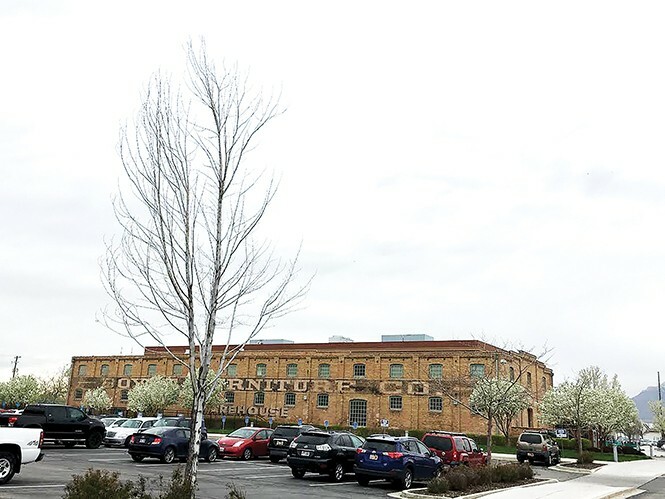 The historic Boyle Warehouse Building near Wall Avenue and 23rd Street is now an IRS center in Ogden. A pack of fiscal conservatives did in 2015 what fiscal conservatives do. They proposed slashes to the federal government, the most glaring suggestion of which was to disband the IRS. Not reduce or restructure. Utterly abolish. The U.S. House group, called the Republican Study Committee, drafted a report titled "Fixing the Tax Code," which detailed what they see as fundamental problems with the current tax structure. It's a bold, but not outlandish, request coming from a coterie of conservatives who commonly call for smaller government. Plenty of politicians—mostly Republicans—have championed the closure of entire federal departments and agencies before, and the IRS, whose primary purpose is to collect taxes—another bulbous pea under the GOP mattress—is unpopular among constituents, and thus a natural target. As it were, the GOP committee members weren't risking political points when they suggested giving the IRS the boot. At its core, the tax code, they argued, hurts economic growth particularly among middle-class families. Forbes, reporting on the GOP study committee's tax proposal, noted that "while most taxpayers would balk at calling the IRS efficient, the agency collects $100 in federal revenue for every 35 cents in costs." This contradicts the committee's claim that the IRS is, "at best, an inefficient behemoth weighing down our economy." And "at its worst, the IRS has shown a capacity for outright corruption and political targeting." The Beehive State delegation agrees. All four Utah House representatives are on the Republican Study Committee, and Rep. Rob Bishop, R-Utah, was among the 131 co-sponsors in the 114th Congress for House Resolution 25, named "The Fair Tax Act of 2015." Among other sweeping tax reforms, that legislation would have outright defunded the IRS after fiscal year 2019. Not quite. Revile the IRS all you'd like, but the largest city in Bishop's district, and home of his Utah headquarters, has a symbiotic 60-year history with the agency. Each morning, thousands of federal workers march into one of 10 IRS buildings in the greater Ogden area. The newest IRS operation is on a campus near the heart of Ogden's historic 25th Street, which is lined with popular restaurants and bars, and quaint boutiques and galleries. At the corner of 23rd Street and Wall Avenue, a four-story, red brick building resembles a factory of yesteryear. An obsolescent ad for "American Food Stores" painted on the eastern side is weathered and chipping away. This edifice is one of three buildings that moved next to the historic district between 2003 and 2011. An LDS temple spire juts into the air a few blocks away, visible to the half-dozen IRS employees who are taking a smoke break on a recent weekday. Inside, employees process thousands of tax returns, mostly those filed quarterly or monthly by businesses. And many of the 20 million Americans who call the IRS each year needing answers about taxes end up talking to a person in an Ogden center, according to Jim Clifford, IRS director of customer accounts services in the Wage and Investment Division. "In all of the critical pieces of tax administration that IRS delivers every year, Ogden has at least a piece of and in some cases, a very significant piece," he says. The agency is a major employer in town. While Ogden embraces the IRS and the jobs it provides, city officials are even more pleased with what the IRS has done to revitalize the area. Ogden City's Director of Community and Economic Development Tom Christopoulos says the city had struggled to breathe life into a dilapidated block along Wall Avenue. The rundown district was tarnished with flophouses and boarded-up façades. Christopoulos likened it to a postwar ghost town. "Roofs were collapsed. There was barbed-wire fences around everything. It was quite a disaster," he says. "No one went there." Today, the area is experiencing a renaissance, thanks to the IRS, Christopoulos claims, by moving in and "clearing up tracts of land that were blighted." The IRS operation has helped the city in two specific ways, Christopoulos explains. First, the federal government didn't purchase the property, but instead agreed to lease it from a private landowner. Foregoing federal status, this allows Ogden to collect property taxes. Christopoulos says the city invested the tax dollars into redevelopment projects, such as renovation of the Junction and River projects, and a projected 750 new housing units. "The way they went about it and were willing to pay rent and make this a taxable entity, is a really interesting model of how things might work across the country." Secondarily, thousands of IRS employees help support the local economy. "We get all those people there buying lunch and spending money," he says. "That contributes to a collection of sales taxes." As for the broad inimical attitude about the IRS, Christopoulos gets it. Taxes are taxes, he says, but the IRS' impact on Ogden—offices where residents work and contribute—is undeniable and lasting. If the IRS were to, "worst-case scenario," completely close its Ogden operations, Christopoulos says, rentable office spaces would remain for new business. The Standard-Examiner published an article last September that said the Ogden IRS complex had survived a round of closures that were scheduled to shutter all but two other federal processing centers by 2024. Citing an IRS figure, the story noted that the Ogden facility would remain open, despite the claim that the workforce there had shrunk by 1,400. Clifford confirmed the reduction. It was during a budget squeeze around 2010 when the IRS lost 17,000 jobs nationally. But, he revealed, in the coming years, Ogden will take on more of the business-processing duties. By 2020, the 32 million tax returns processed in Ogden is projected to balloon to 54 million. "We're looking to increase in Ogden," he says. "And that is a good-news story for us as much as it is for Ogden because we've had terrific success with hiring in Ogden. Just this year, we were able to hire almost 500 people, and we tend to get top-notch, talented people in Ogden."